When cancer surgeons remove tumors from the body, the difference between success and failure is often just a few cells. Any lingering malignancy could lead to a recurrence of the cancer, so it is vital that surgeons excise the entirety of the tumor when at all possible. 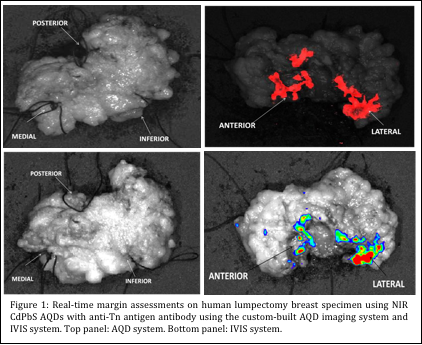 A special molecular dye, being developed at Drexel University, that clings to cancer cells and glows under infrared light is helping surgeons check their work by getting a better look at where their cellular adversaries are hiding. Wan and Wei-Heng Shih, PhDs, who are, respectively, professors in Drexel’s School of Biomedical Engineering, Science and Health Systems; and College of Engineering, have made it their life’s work to help physicians detect and treat maladies from infections to cancer. Even before Wan’s battle with breast cancer in 2008, the pair was devising non-invasive ways to find and evaluate tumors using piezoelectric sensors. Since then, the couple has turned the insights gleaned from their first-hand experience with the disease into additional motivation to create medical tools to combat it. Now, as the Shihs see it, the next step for their work is to enable oncology surgeons to verify with a high degree of certainty—and while the patient is still on the operating table—that they have cleanly removed a tumor in its entirety. To do it, they’re using a relatively nascent nanotechnology that is currently more likely to be found in a living room than an operating room. Quantum dots, which are part of the technology used to produce the sharp images of LCD televisions, are also being used during cancer surgery. The Shihs are combining their backgrounds in materials engineering (Wei-Heng) and biomedical engineering (Wan) to turn fluorescent nanocrystals, called quantum dots, into a dye that binds to cancer cells. These unique materials glow when activated by radiation from light. By adjusting their size and chemical composition, they can be tuned to emit a variety of colors in response to the radiation. This property makes them ideal materials for use in next-generation liquid crystal display (LCD) televisions. Another useful property of quantum dots is their ability to bond with ligands –biological matchmakers that bioengineers use to find very specific cells in the body. 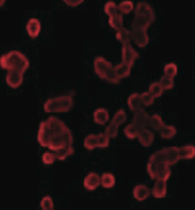 The Shihs affix their quantum dots with an antibody “cap.” This addition turns the nanocrystals into cancer-seeking markers. The beauty of the Shihs’ design is that they’ve engineered the dots so that a grouping of three dots will accept just one antibody cap. For researchers, whose limiting factor is often the cost of expensive materials, like antibodies, this is pretty significant. According to Wan Shih, the opposite is normally the case: most quantum dots will snap up as many as three antibodies each. So the Shihs’ method, helps stretch the antibody supply a bit further, while still keeping the image bright, and the costs low. Once capped, the dots are ready to track down cancer cells, which makes them a useful ally during surgery. Under infrared light, quantum dots that have bonded to cancer cells glow red—showing surgeons whether or not they have removed the entirety of the tumor. When surgeons remove a tumor they take a buffer layer of healthy cells around it to ensure that the entire cancerous mass has been removed. A successful extraction will therefore yield a tumor that is completely encapsulated by healthy cells. The surgeon’s challenge is to remove just enough healthy cells to ensure that all of the cancerous cells are gone, but in many cases it is essential not to take more cells than absolutely necessary because of where the tumor is located in the body. The current method for testing tumors, post-operation, is a histopathology examination. These tests tell doctors if the remaining cells in the body—the ones that were surrounding the tumor—are still cancerous. But these examinations take days to complete and they present only general locations of the remaining cancer cells on the margin. The method the Shihs developed, with guidance from Vanlila Swami, MD, and Ari Brooks. MD, who were both professors in the Drexel College of Medicine, generates a fast and accurate result. Once the tumor is removed, it is submerged in a solution of quantum dots for about 10-15 minutes, then rinsed with water. Next, an infrared camera captures a series of images, which are immediately viewed on a computer screen or with special goggles. Quantum dots can indicate exactly where the remaining cancer cells are located in the body. This is a significant improvement over current testing methods, which are less detailed and can take days to get results. “If the tumor shows up completely dark, they know that they’ve gotten all of it. If there are light spots this means that the antibodies have bonded to cancer cells with the glowing quantum dot tracer, so the surgeon needs to go back and remove more cells. Our goal is to minimize the number of re-excisions and operations necessary to successfully remove cancer tumors,” said Wan Shih. Brooks has already used this exact procedure in 10 clinical test cases with good preliminary results. The procedure and applications on animal models have been reported in a 2013 issue of International Journal of Surgical Oncology. The true genius of the Shihs’ use of quantum dots is that they’ve been able to navigate around the regulatory limitations of using them for medical imaging. 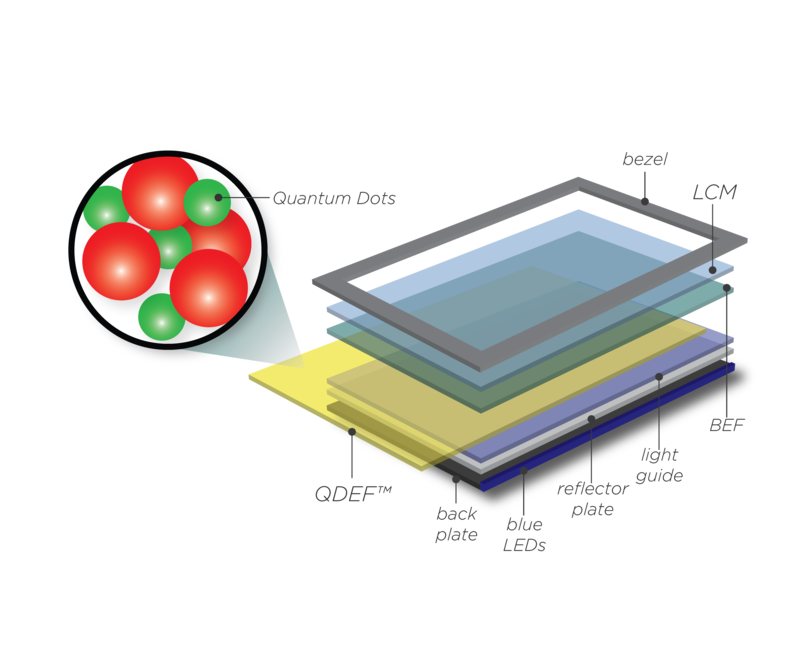 Outside of high-definition televisions, quantum dots are mostly used for research purposes as tracers and indicators that help biologists track the movement and behavior of cells in lab settings. 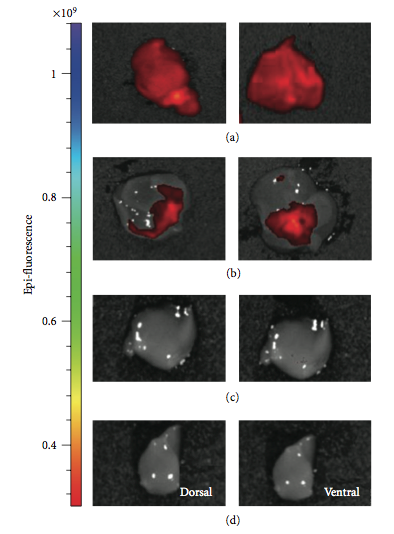 Using the dots for bioimaging inside living organisms has been a slow developing area of research in the last 10 years. Part of this is because the dots, which are composed of heavy metals such as lead and cadmium, needed to be encapsulated for safe use inside the body. By using the quantum dots on excised tumors, the toxicity concerns can then be avoided. The quantum dots the Shihs have designed can be produced in an aqueous solution—which is a safer, less expensive method than the one used to make commercially synthesized dots. Another advantage of the Shihs’ process is that the dots are formed in an aqueous solution. This makes them inherently safer to make than commercially produced quantum dots, which require organic solvents and capping molecules that are hazardous to the workers and to the environment. So the Shihs’ dots are both safer and cheaper than dots commercially synthesized for research purposes, but their most valuable feature is that they’re built for speed. The Shihs’ research is supported by the Coulter-Drexel Translational Research Partnership program and they are also pursuing funding from the National Institutes of Health to continue clinical testing.